We have lots of exciting news to share about Flat Classroom®. If you are still on holiday (southern hemisphere) I recommend you save this email and come back to it in a week or so. We don't want you to miss out! 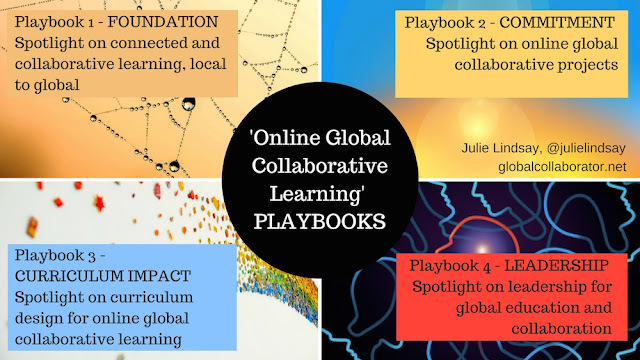 Teachers, make sure you join in on our Flat Classrooms Ning for educators only, that is where the conversations are ongoing about global learning and global collaboration; that is where partners are found and global innovations in learning are shared! 1. Flat Classroom Projects - We are launching all of our projects again in February 2013. Our goal is to facilitate the best global collaborative projects in the world where students co-create. Make sure you get your applications in! Download a brochure to share. Flat Classroom Project - Deadline for next project is January 23, 2013 APPLY NOW! Digiteen and Digitween Project - Deadline for next project is February 15, 2013 APPLY NOW! 'A Week in the Life...' - Deadline for next project is February 15, 2013 APPLY NOW! NetGenEd - Project based on the Horizon Report published in January each year - Deadline February 1, 2013 - APPLY NOW! K-2 'Building Bridges to Tomorrow' Project - Deadline for next project is February 15, 2013 - APPLY NOW! 2. Flat Classroom School Subscription Co-founders of Flat Classroom, Julie Lindsay and Vicki Davis, have a solution for schools who want to 'go flat' and include more classrooms and teachers in Flat Classroom Projects each year AND provide professional development opportunities for teachers. Become a Flat Classroom School! Each category includes access to all projects across the full year up to the number of students noted. There are three Flat Classroom Certified Teacher courses/cohorts to choose from during the year. View our current Flat Classroom® Schools on the website! 3. 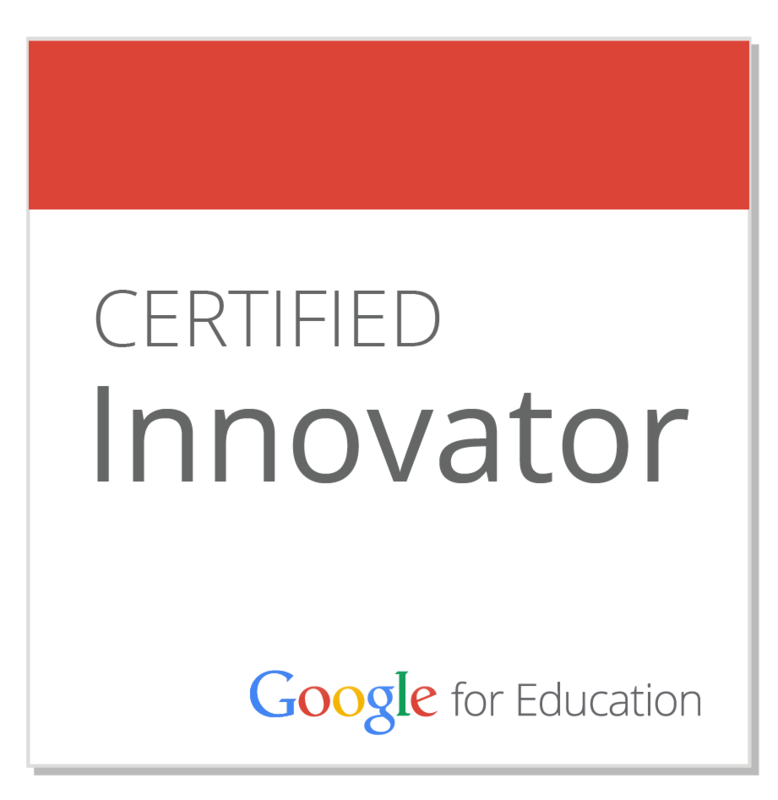 Flat Classroom Certified Teacher course. The next cohort will kick off in February! Come and join us or a PD experience that will not only build your PLN but transform your teaching and learning. 4. Flat Classroom Conference Come and join us at the Yokohama International School, March 8-10 2013 in Yokohama, Japan for this unique, challenge-based event that brings student and teachers together from across the world. We invite you to browse our updated website and consider bringing students to this life-changing opportunity. Teachers looking for course credit for attending this conference watch this space for important updates coming very soon. Virtual participants invited to attend also - watch this space for application form coming by the end of January! REGISTRATION is OPEN! 5. Projects Databank - This is a place for Flat Classroom Certified Teachers, and others, to post their projects and attract classrooms from all over the world to participate. Congratulations to Aaron Maurer, Flat Classroom Certified teacher cohort 11-1. Aaron is running an incubator project, Bald Eagle Project you must see! 6. Future Learning Action Talks (F.L.A.T.s) - We invite you to consider presenting in Blackboard Collaborate and share your global adventures and successes. An archive of past FLATS are on the website. Upcoming F.L.A.T.s with Australian Chris Betcher, the FCP 12-2 keynoter, on January 29, 10pm AEST / 6am EST USA. Topic: The Flat Classroom Project - Taking the Long View. 7. Announcing: The World Wide Think Tank is a joint initiative by THINK Global School and Flat Classroom. It is a student initiated and student driven global student leadership forum. It was launched by students, Hannah, Yada and Paul, during a presentation at the Global Education Conference, 2012. Complete the online form to be sent further updates. Browse the website to learn more and sign up: WWTT website. Please spread the word!! #WWThinkTank is our hashtag - tweet it out! Join in for the next online meeting (week starting January 28), volunteer to be a student leader! 8. 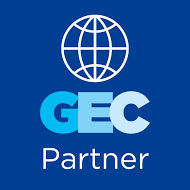 Global Events - We invite you to use the Flat Classroom Educators network to advertise your global events. Make sure you keep an eye out for what is coming up! 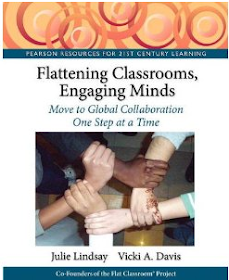 Meet the Flat Classroom - The next opportunity to meet Julie Lindsay and Vicki Davis in an online information session will be Monday January 21, 8pm EST (January 22, 1am GMT). Check your location for date and time. 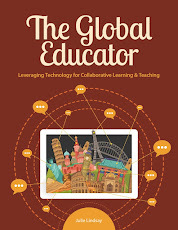 Join a virtual book club - A new virtual book club is being led by Kyle Dunbar @edtechdunny based on our book, ‘Flattening Classrooms, Engaging Minds’. If you want to join, there is still time! Julie and Vicki will be coming to some of the sessions. The meetings are about discussing the concepts found in the book for flattened learning, making connections and learning from one another.